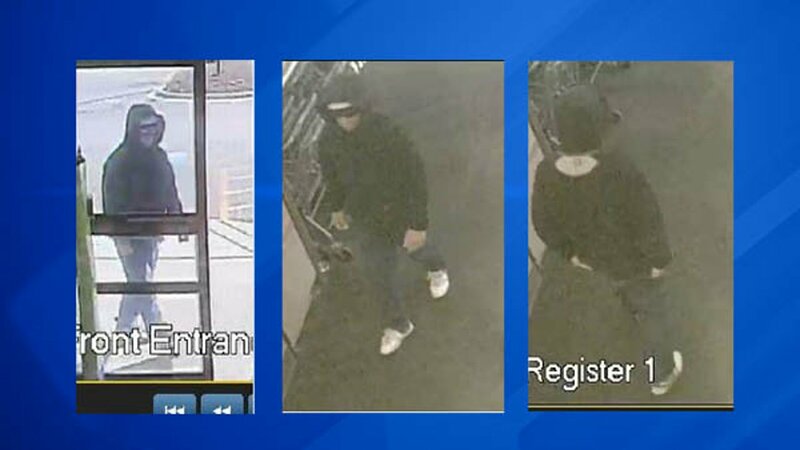 NAPERVILLE, Ill. (WLS) -- A $1,000 reward is being offered for information that leads to the arrest of a Walgreen's robbery suspect in Naperville, according to officials. On Wednesday, April 12, at around 9:30 a.m., a male suspect entered the Walgreen's at 612 Raymond Drive, police said. He left and then returned a few minutes later. Police said he approached the cashier at a register and demanded money. The cashier removed all the cash in the register and placed it on the counter. Police said the suspect then took the money and left through the main entrance and fled in an unknown vehicle. Police describe the suspect as a white man around 20 through 30 years old, around 5 feet 4 inches tall and possibly has a mustache. He was wearing a black pullover hooded sweatshirt, no gloves and blue jeans. Anyone with information is asked to call Crime Stoppers at 630-420-6006.